GREEN BAY – The Packers’ season ended in heartbreak. Richard Sherman didn’t want to discuss it. The Seahawks’ star cornerback declined to comment on the final minutes of last January’s NFC title game, when the Seahawks rallied to defeat the Packers. “Honestly, I don’t even remember. We try to move on from the year before and go on to the next year. I don’t have much to say about last year’s game,” Sherman told Packers media on Wednesday. Each team is guarded in its approach toward this Sunday’s re-match, which is being billed by Packers fans as revenge for what happened in Seattle. So why is this such a big game for the fans, but apparently just another game on the schedule for the players? “Athletes have been through it before. The difference between the athlete and the fan is the athlete has been through adversity, has had his ups and downs. He understands the mindset you have to have when you have to perform week after week after week. 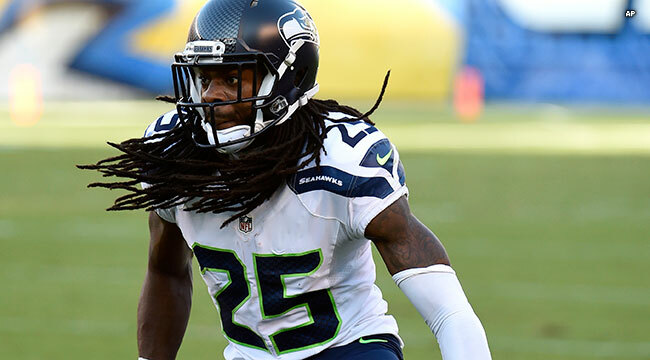 Fans sometimes get stuck in a certain mindset,” Sherman said. Revenge motive for the Packers? Head Coach Mike McCarthy said no. The motive this Sunday for the Seahawks? Win and avoid a 0-2 start.